Middle and high school teachers can use these young adult books as a basis for important conversations. If you’ve tried talking to teens about the dangers of drugs and alcohol by using statistics alone, you have probably noticed that after 10 minutes or so, the signs of Teenage Tune-Out begin to emerge: glazed expressions, drooping eyelids, shoulders slowly slouching to the surface of the desk. That’s because facts, data and statistics, though important, aren’t relatable enough. Students (and really, all of us) need a face, a personality, a context. 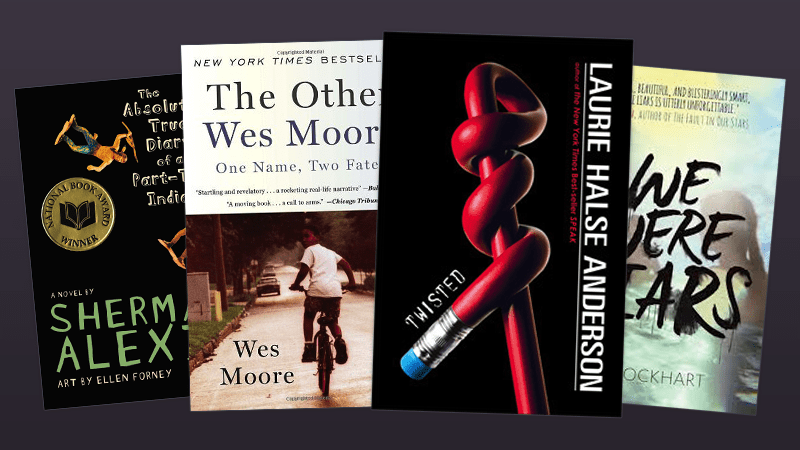 The following titles are young adult books that middle and high school teachers can use as a basis for strong, authentic classroom conversations about drugs and alcohol. These are stories about realistic, complex characters who are facing risks, tough decisions and the influence of their peers—stories that will spark discussions about the development and vulnerability of the teen brain and subsequent risk-taking behavior, the influence an environment can have on the choices a person makes, and more. Don’t have room in your curriculum for new books? Try choosing one to read with your advisory group or home room or with an after-school reading group. 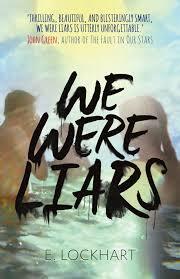 We Were Liars follows teenager Cadence Sinclair through summers spent on her wealthy family’s private island, including one particular summer that involves tragic decisions associated with alcohol abuse. 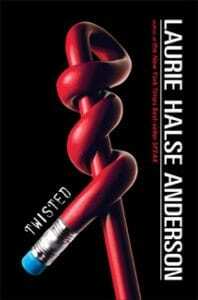 With shocking twists and strong themes, you’ll see why this novel has received such positive critical acclaim. Discussion Question/Writing Prompt: The narrator tells us, “The alcohol made me feel giddy and powerful until I stood in the kitchen alone.” What is she referring to here? What happens next? How do drugs and alcohol play a role in the plot of the novel? 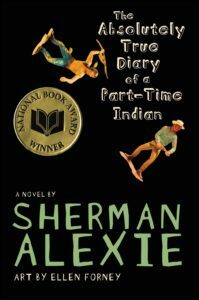 Sherman Alexie’s powerful book tells the story of Junior, a budding cartoonist growing up on the Spokane Indian Reservation. 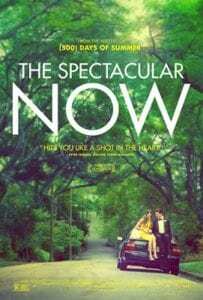 The story somehow tackles the very serious problems of pervasive alcoholism, drug abuse and poverty within Native American culture while still offering a voice that is hilarious, upbeat and completely true to teenage behavior. Discussion Question/Writing Prompt: What role do drugs and alcohol play in the life Junior has had up until now? How do they affect his family and friends? 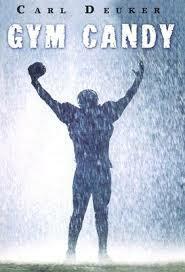 Gym Candy deals with a different but all too common kind of drug abuse: steroids. The harsh realities of steroid abuse are woven into the story of Mick Johnson, a hero whom even non-athletes will find relatable. Discussion Question/Writing Prompt: Why does Mick start using an illegal drug? How does he justify it? What are the results Mick expects? What results does he fail to consider? 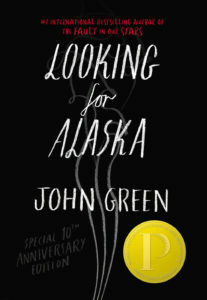 Set in an Alabama boarding school, Looking for Alaska is an unforgettable, thought-provoking novel with rich, complex characters who are dealing with the pressures of growing up and feelings of indestructability. The story centers around main character Miles “Pudge” Halter as he journeys through his first year at a college-prep boarding school. Led by his roommate and the charming Alaska, Miles joins a group of brainy but troubled kids who spend their time drinking, doing drugs, smoking and playing pranks. Discussion Question/Writing Prompt: Alaska is fascinating but also wild and reckless. How does alcohol use complicate Alaska’s character and her death? How does Alaska’s death change how Pudge and her other friends feel about alcohol and marijuana? Do you think they will be consistent in this change? Why or why not? At the start of the novel and the start of his senior year, Sutter Keely is the life of the party. He’s not a great student, but he’s a good guy who means well. By the end, Sutter is a self-destructive alcoholic, and nothing is so spectacular anymore. Discussion Question/Writing Prompt: What does alcohol represent to Sutter? What effects does drinking have on Sutter’s life? List them. The book ends with Sutter in a difficult place. What do you predict for him? How will his life turn out? How could this have been prevented? A high school party gets out of control. Readers will definitely want to discuss the motivation and decisions of the main character, Tyler Miller, and those around him. Students will love Tyler’s voice, which is both funny and authentic to the teenage experience. Discussion Question/Writing Prompt: Tyler and Bethany make a number of poor decisions. List as many as you can think of, and rank them in terms of seriousness. Be sure to discuss in-school cheating, guns, drinking and drugs, and the initial crime of graffiti. At other points in the novel, both characters make difficult, mature decisions. Does this balance out? What could the characters have done differently? Raise the issue of drug awareness with this story of a teenage girl who becomes addicted to crystal meth. Based on the real-life story of the author’s daughter, the book is so gripping and powerful that it’s required reading in many high schools. Discussion Questions/Writing Prompts: For Kristina, what is the attraction of crystal meth? What does it give her? What does it take away? Later in the story, Kristina sees her life before crank as boring and worthless. Other times, she wishes she could have her old life back. How would you explain that change in perspective? What was the communication like between Kristina and her mother, father and stepfather? In this nonfiction story, two Baltimore boys grow up with the same name, yet end up on totally different life paths. 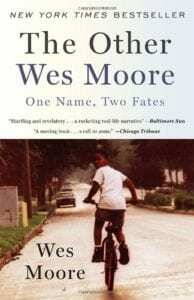 While one, Wes Moore the author, becomes a Rhodes scholar and celebrated war veteran, the other is serving a life sentence in prison. This a story of loss and of hope. Readers will question the roles our decisions and environments play in the shaping of our lives. Discussion Question/Writing Prompt: Wes 1 and Wes 2 started off in the same place. Both grew up in single-parent households with working-class mothers, in neighborhoods filled with drug dealing, drug abuse and crime. Wes 2 began smoking pot in sixth grade. What role did this decision play in shaping the years to come? What personal skills did Wes 1 have that helped prevent him from following the same path?